Full (from Wiktionary) – satisfied, especially in relation to eating. It’s time for the daily feeding frenzy! It is also a perfect example of transference – the bowls are full and will soon be empty; the bellies are empty and will soon be full. 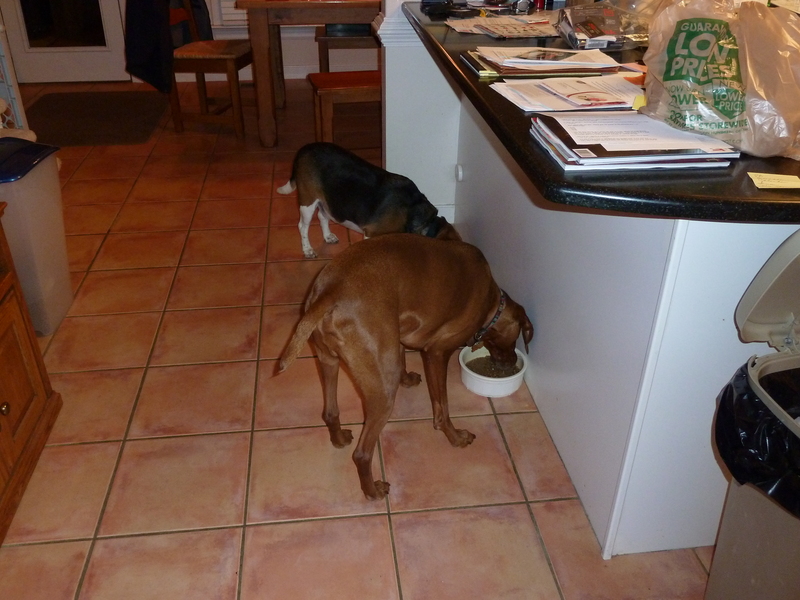 Yes, dog #3 is missing from this photo – he is food aggressive and gets locked in the bathroom to eat. Word for tomorrow – OWING. If you prefer to work ahead, see the list for the week under “A Word A Day”.